326-SP2 Features: -Uniform ridges wipe and polish the orifice wall.-Tapered ends allows smooth easy entry without scratching.-Smooth leader pilot.-Tangle-free closed loops.-Now with 3 tip cleaners each of the #6, #7, #8 and #10.-Material: Stainless Steel. Assembly Instructions: -Attractive aluminum case with a contained spool assembly. 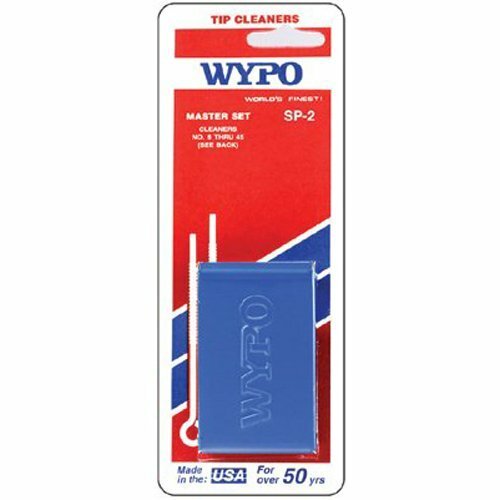 If you have any questions about this product by Wypo, contact us by completing and submitting the form below. If you are looking for a specif part number, please include it with your message.